THE MOST COMFORTABLE HOME YOU CAN BUILD. Super-insulation and airtight construction provides unmatched comfort and even in extreme conditions. Passive House design and construction technology is becoming 'best practices' in the building industry by providing owners with superior comfort and reduced energy loads while remaining competitive in cost to build. Working with a certified design consultant means that the building's energy performance will be modeled and refined to take the best advantage of the site and minimize inefficiencies and thermal bridges. 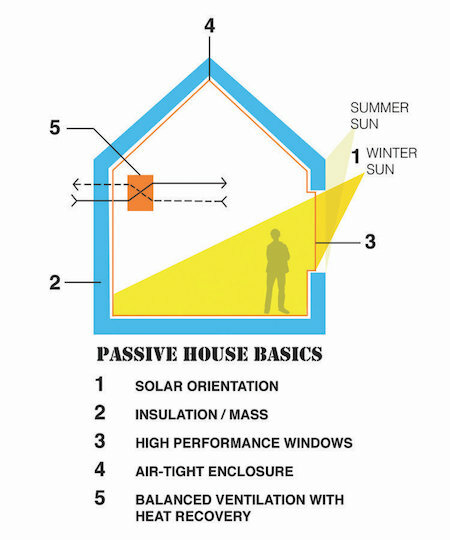 Contact us to learn how Passive House can improve the quality of your project.